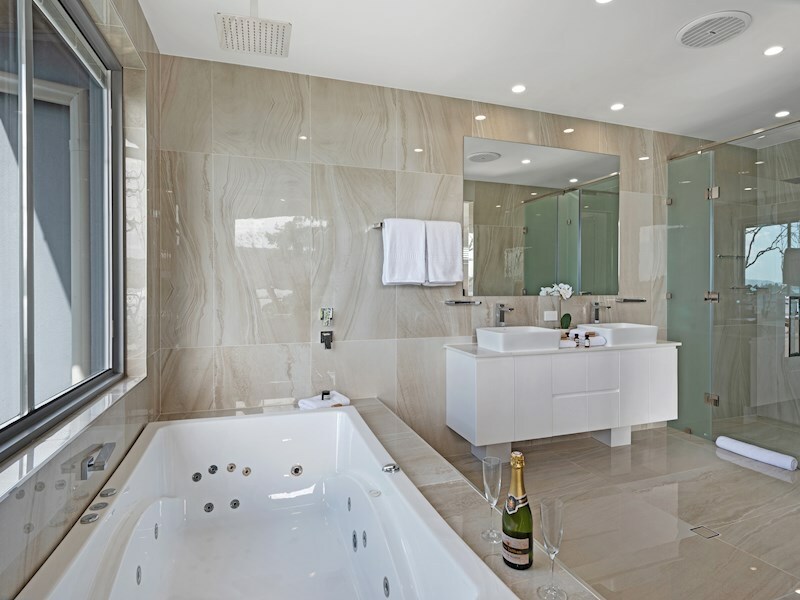 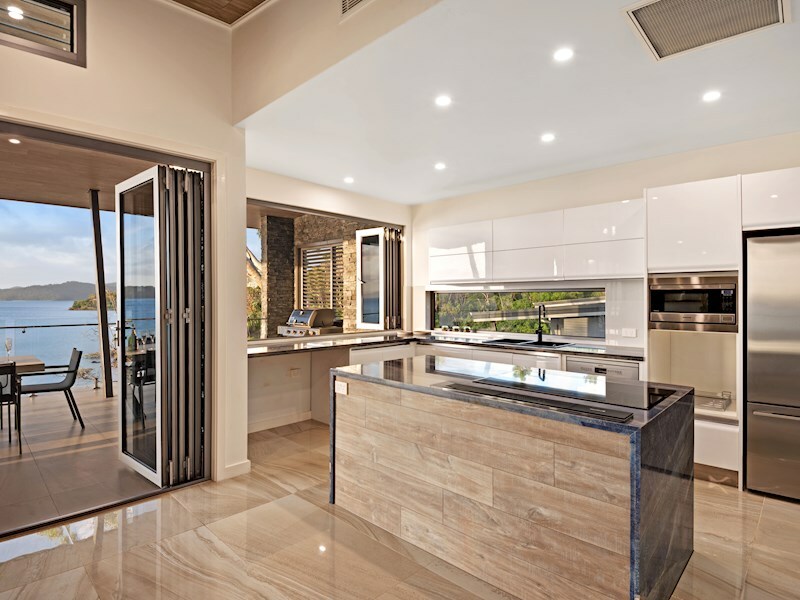 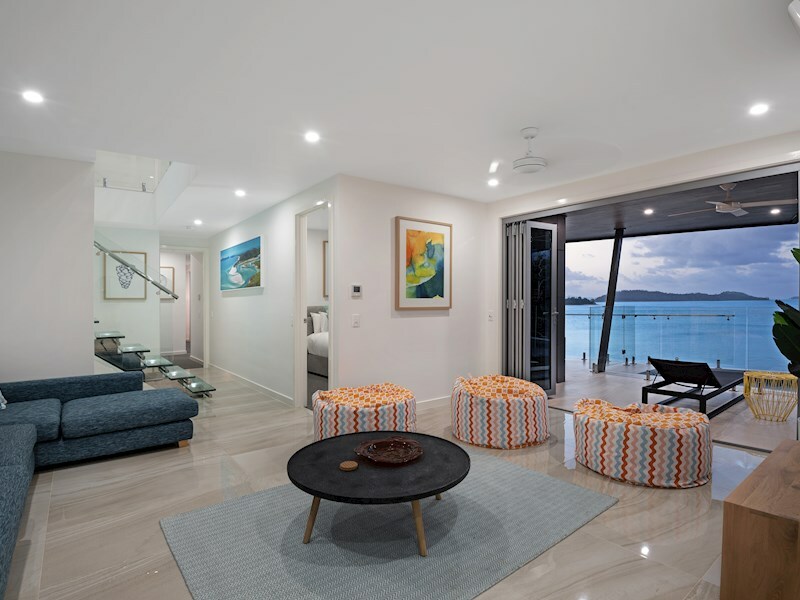 Bright and spacious, this newly completed four bedroom luxury apartment offers an unforgettable island escape. 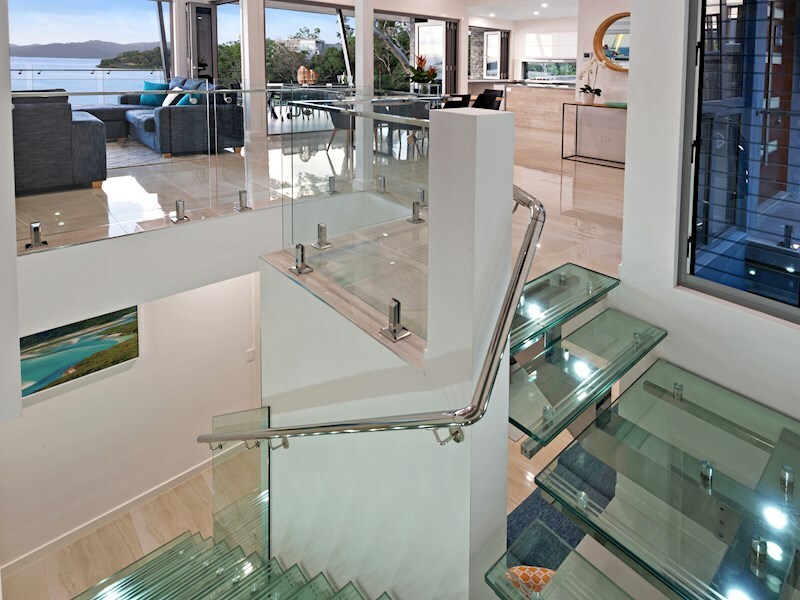 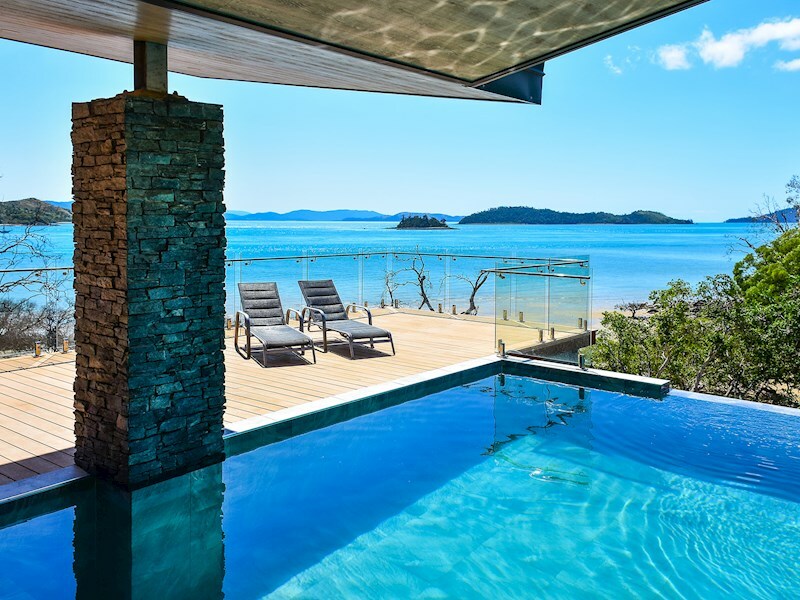 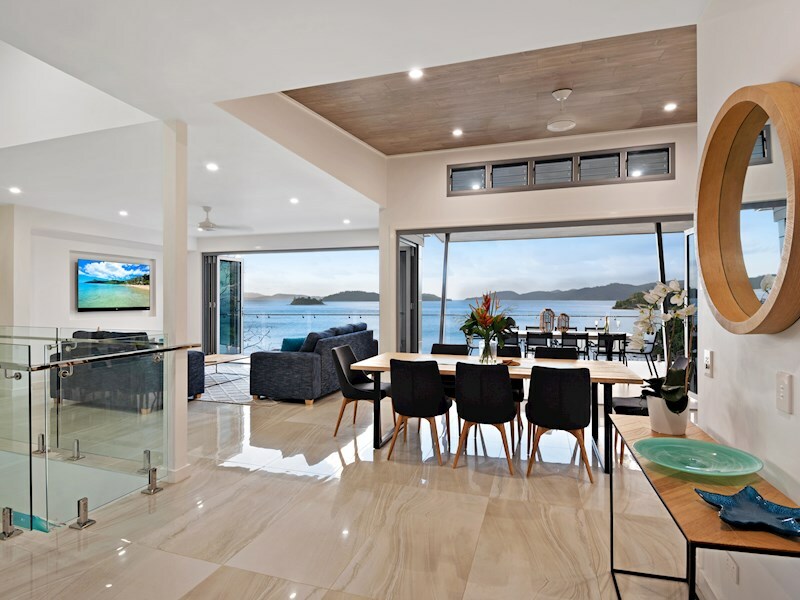 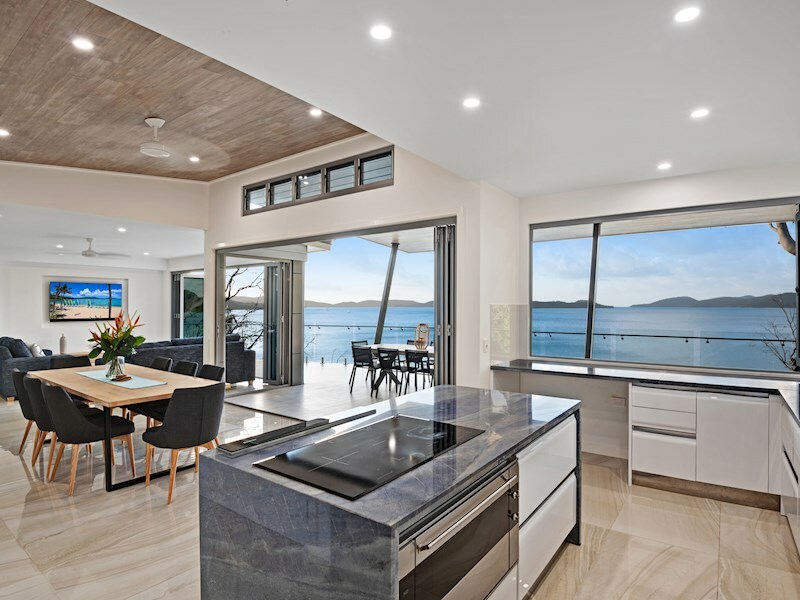 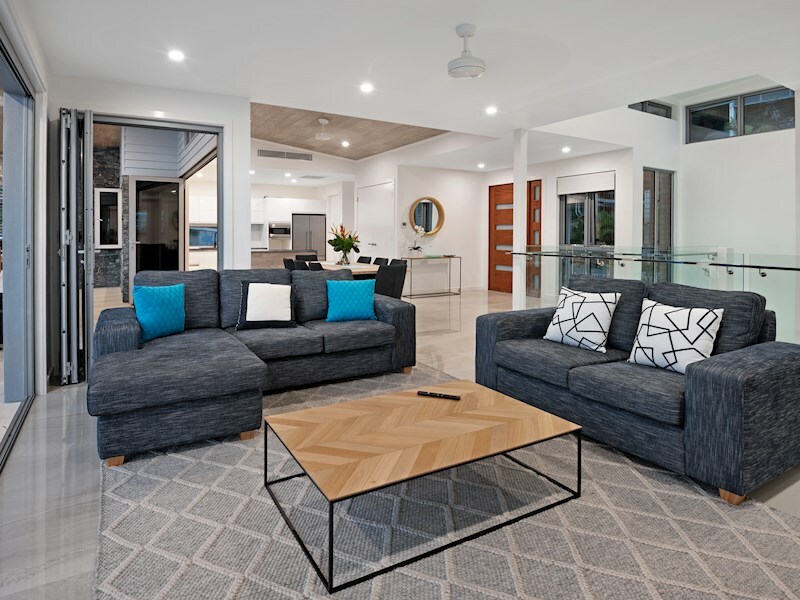 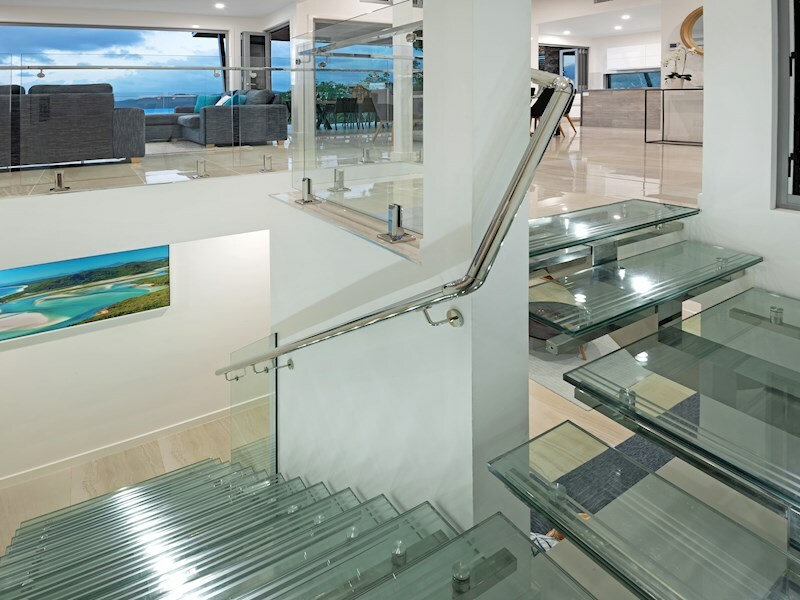 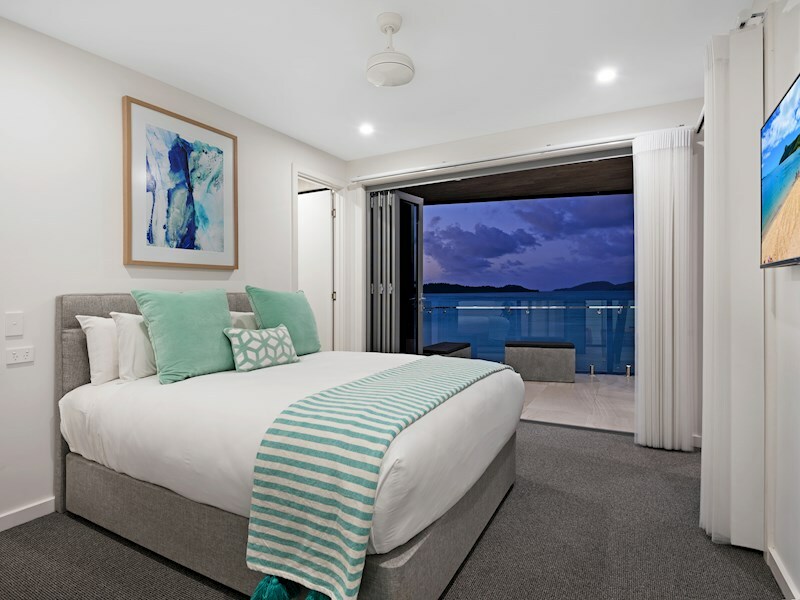 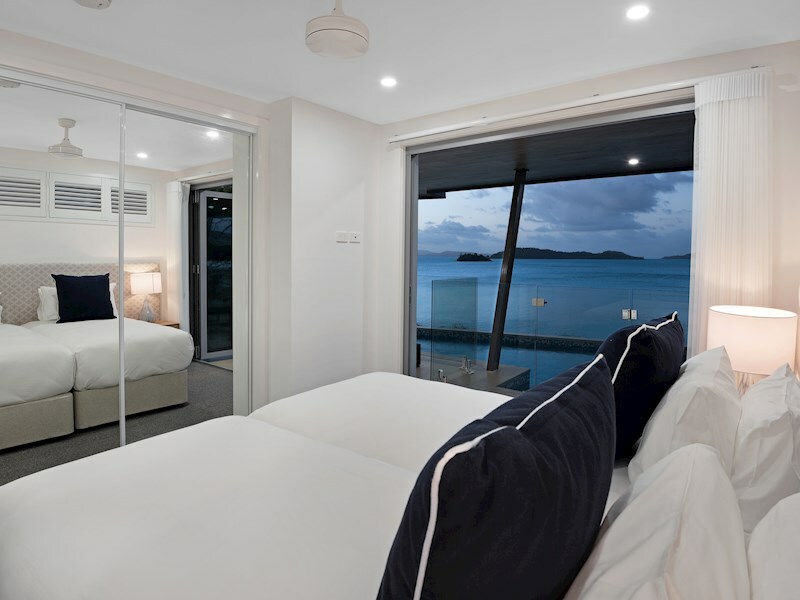 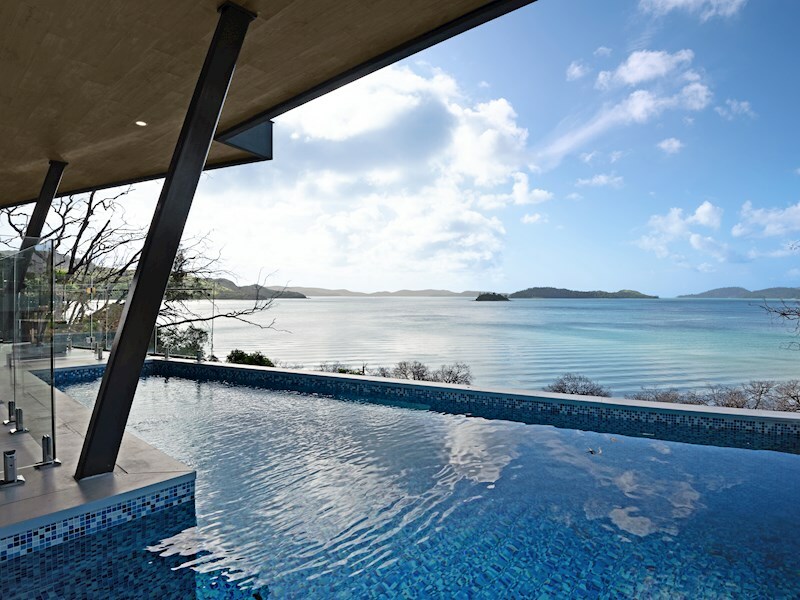 Enjoy beautiful views over the turquoise waters of the Whitsundays. 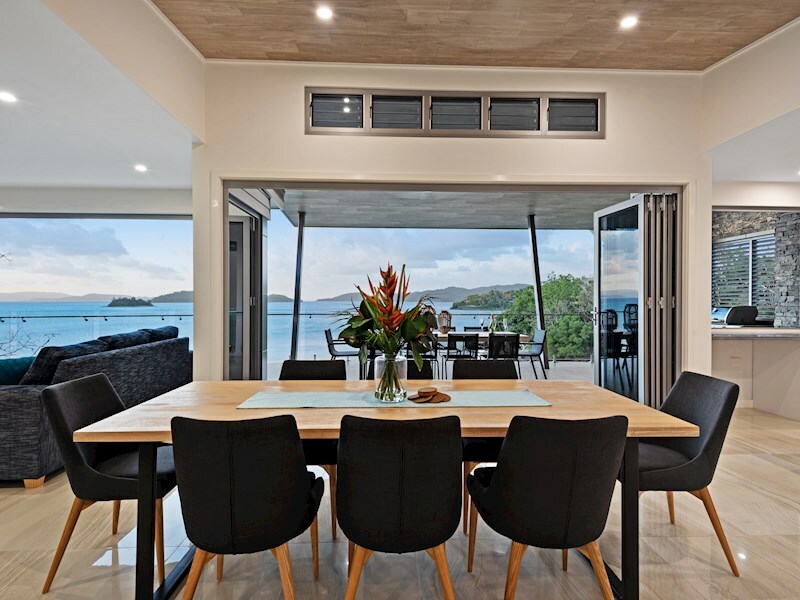 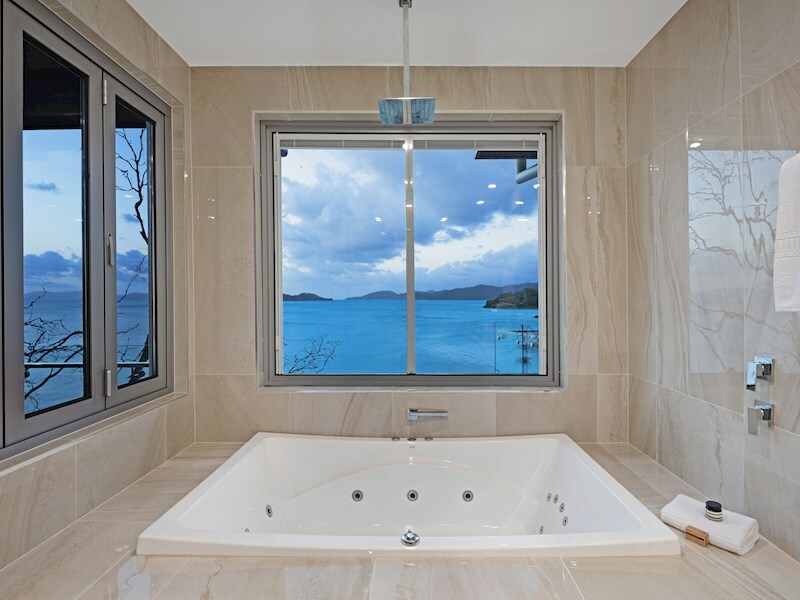 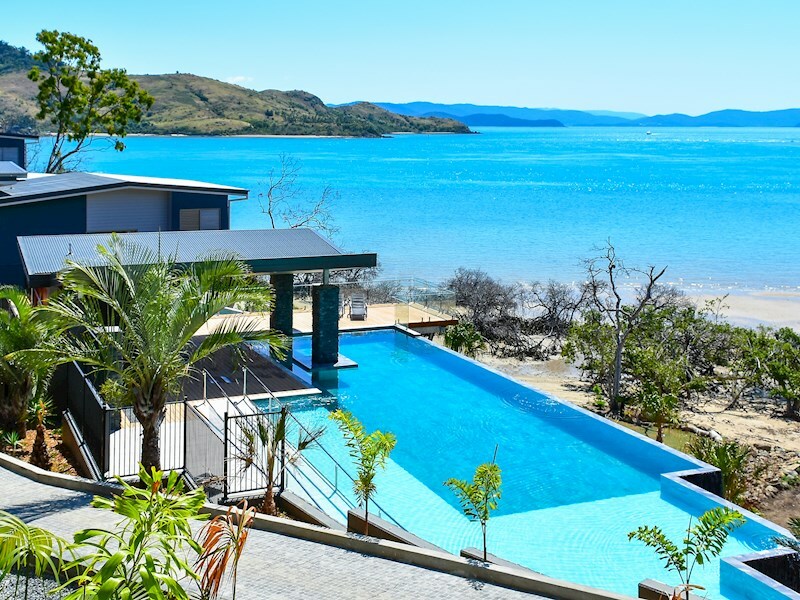 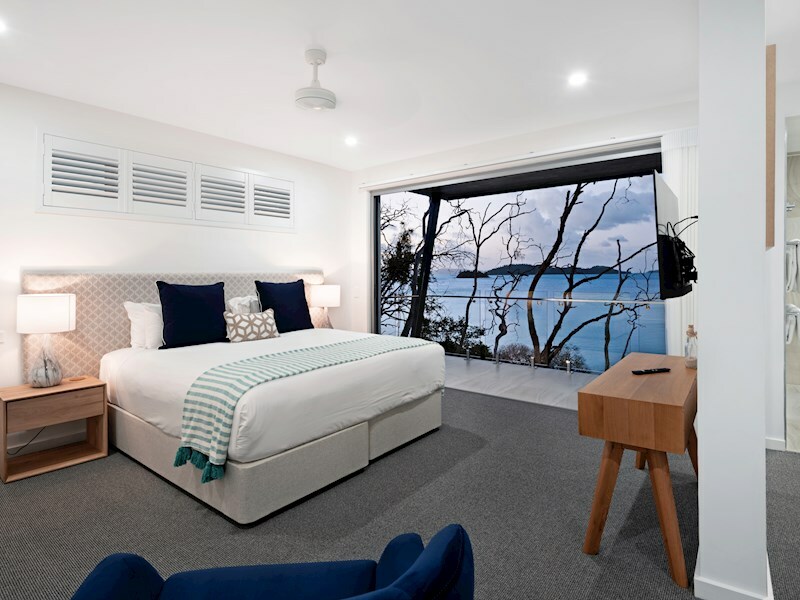 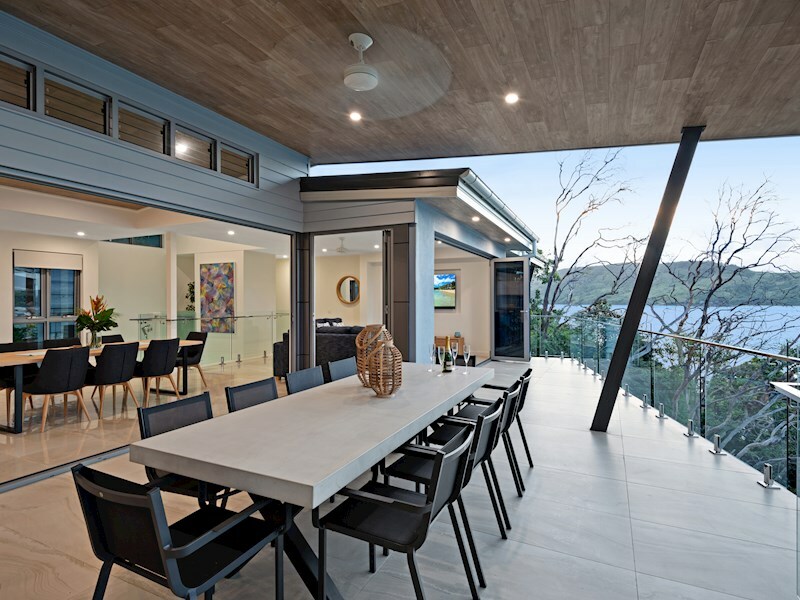 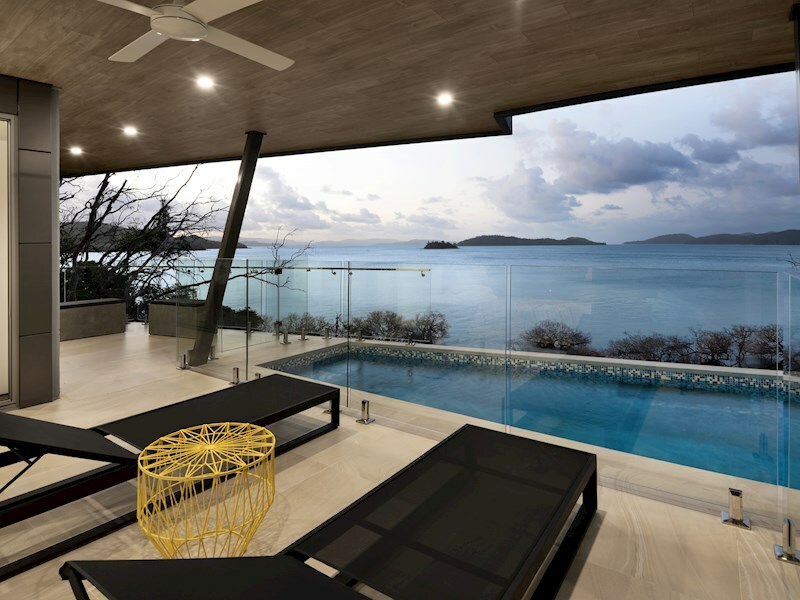 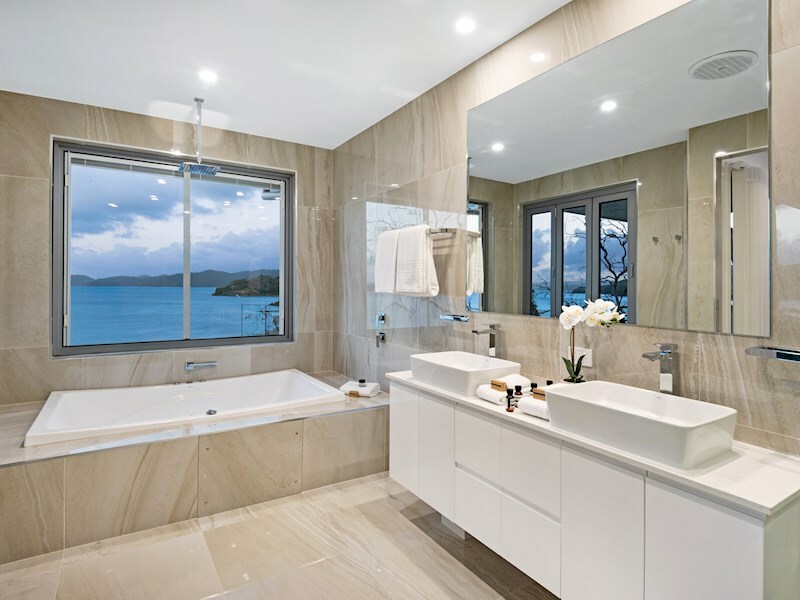 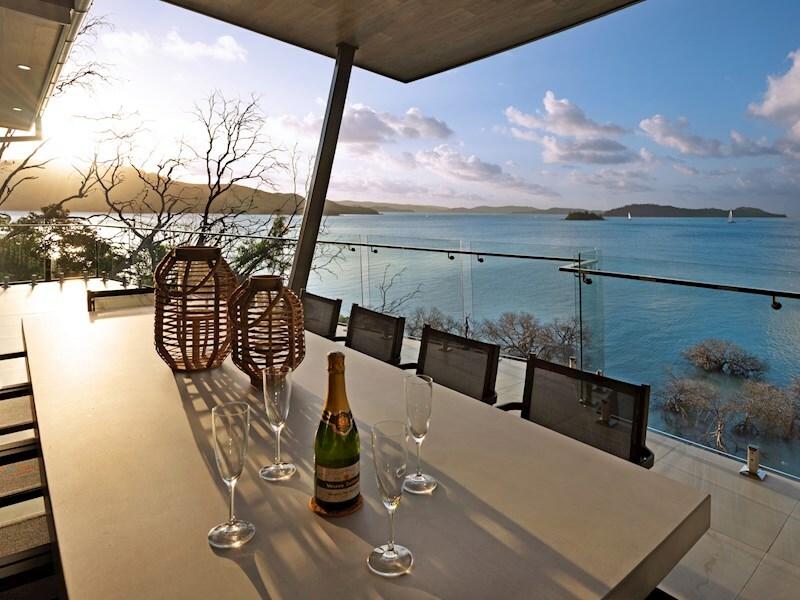 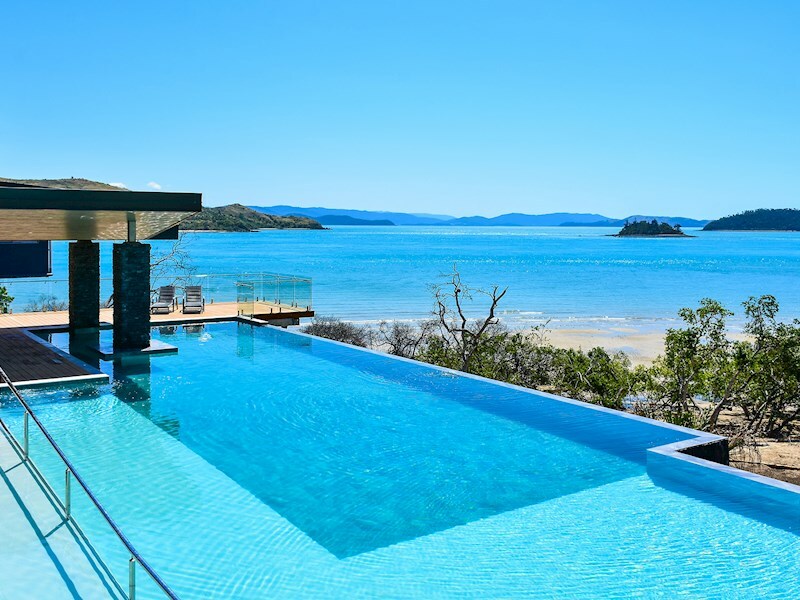 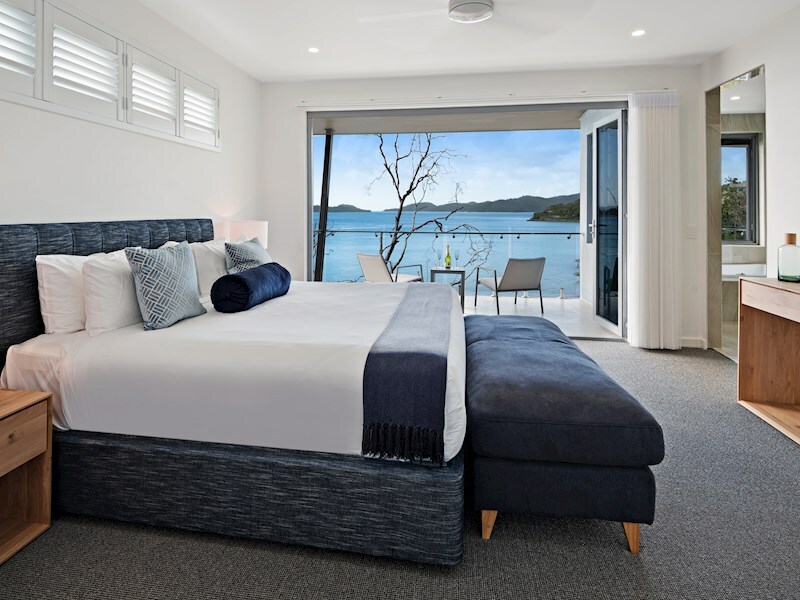 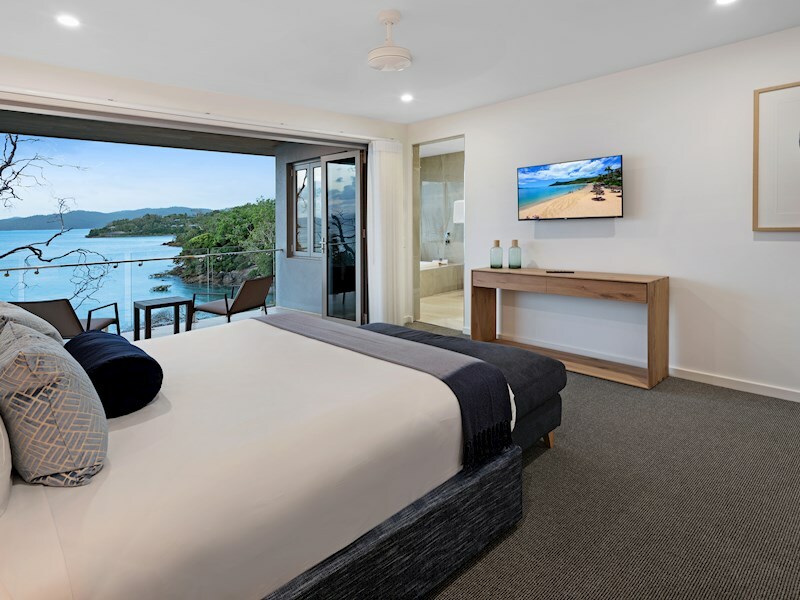 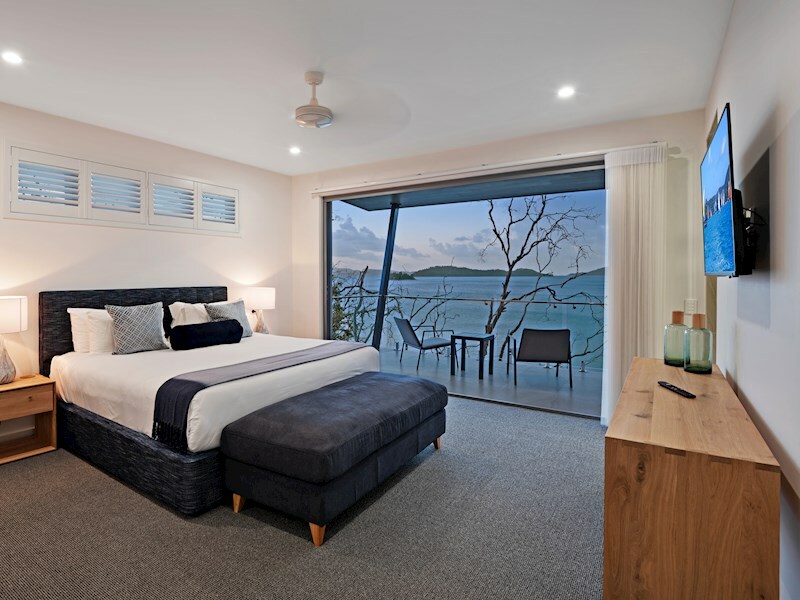 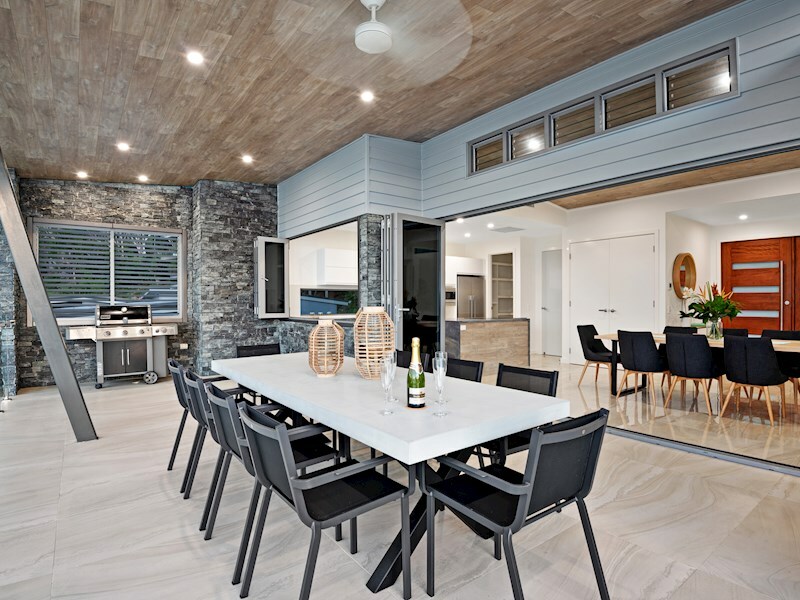 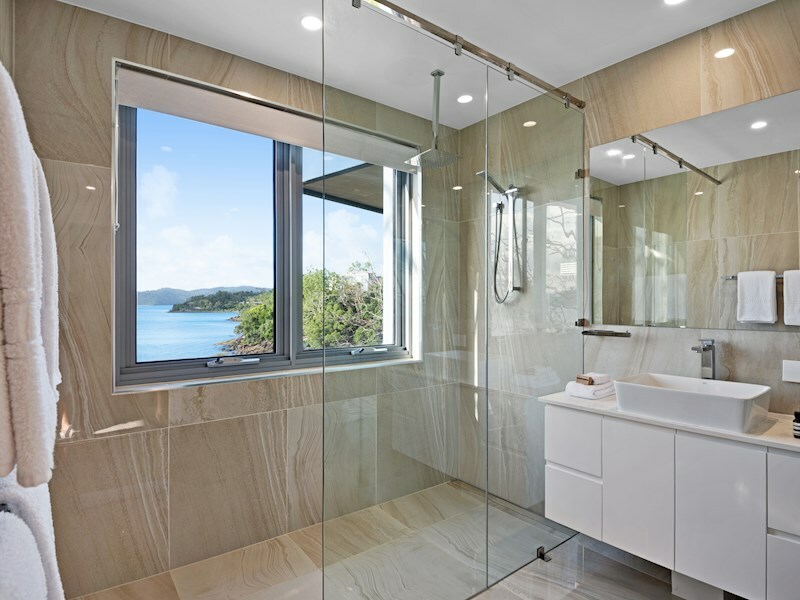 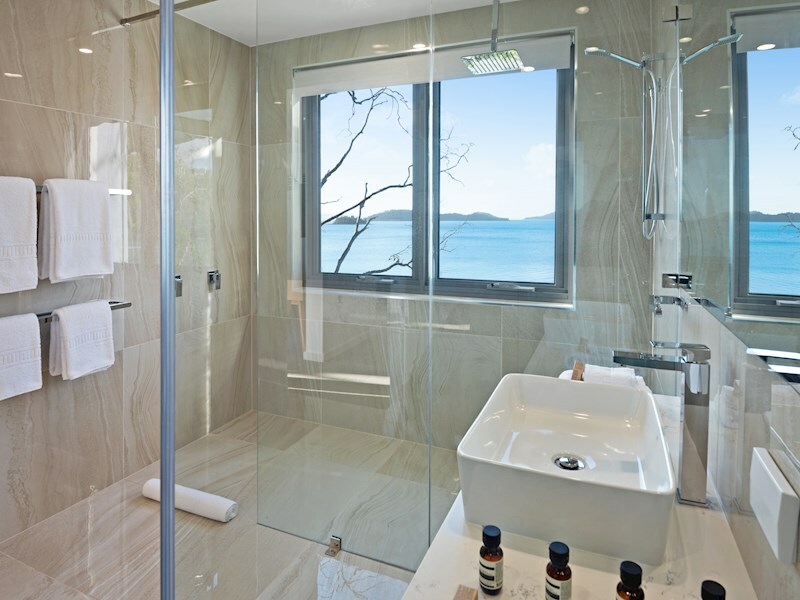 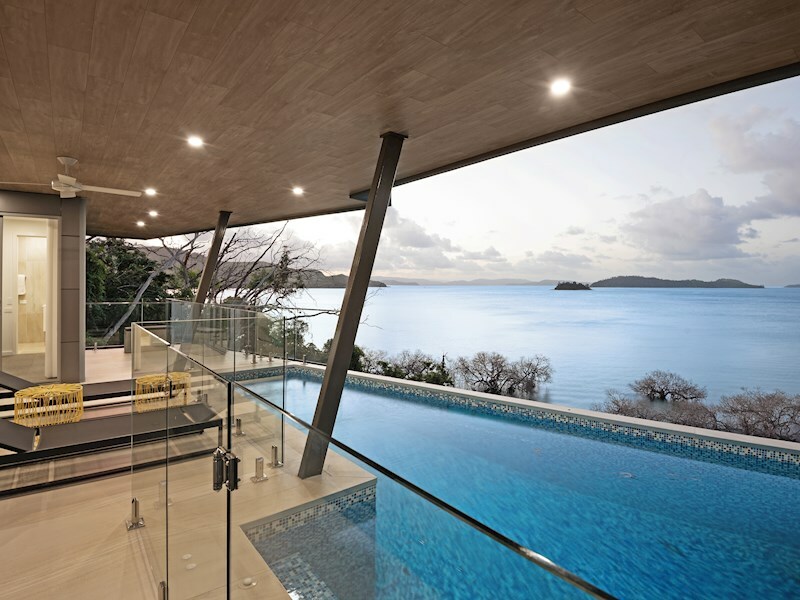 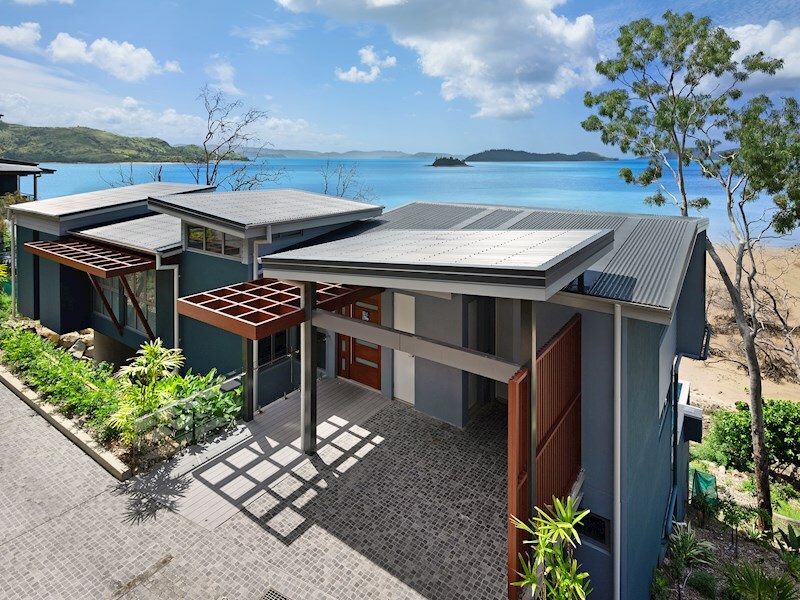 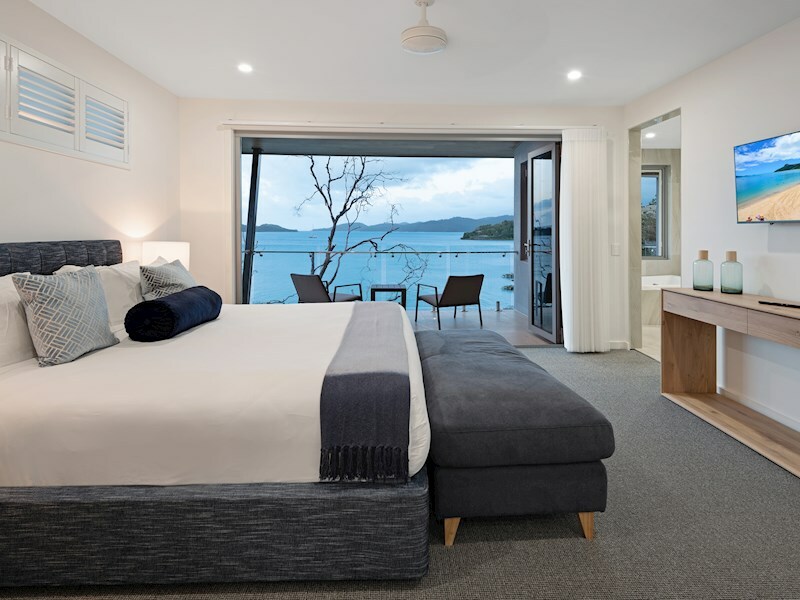 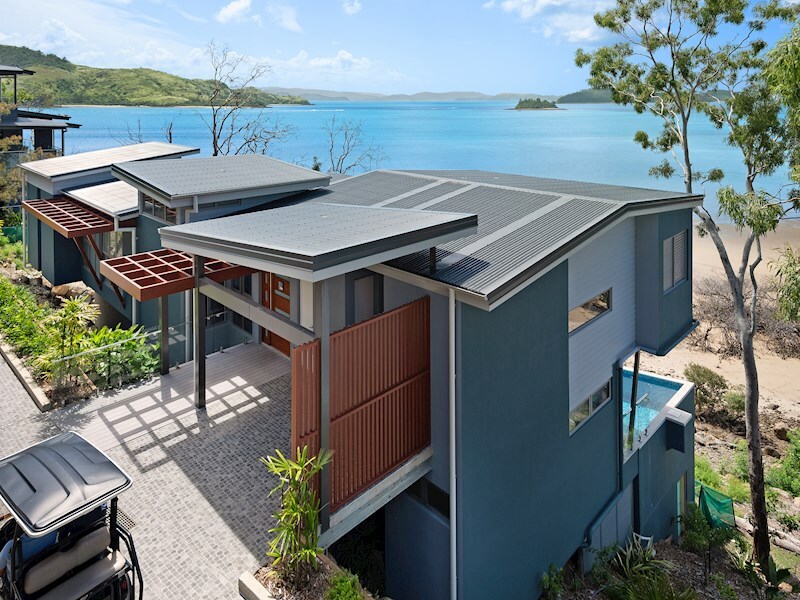 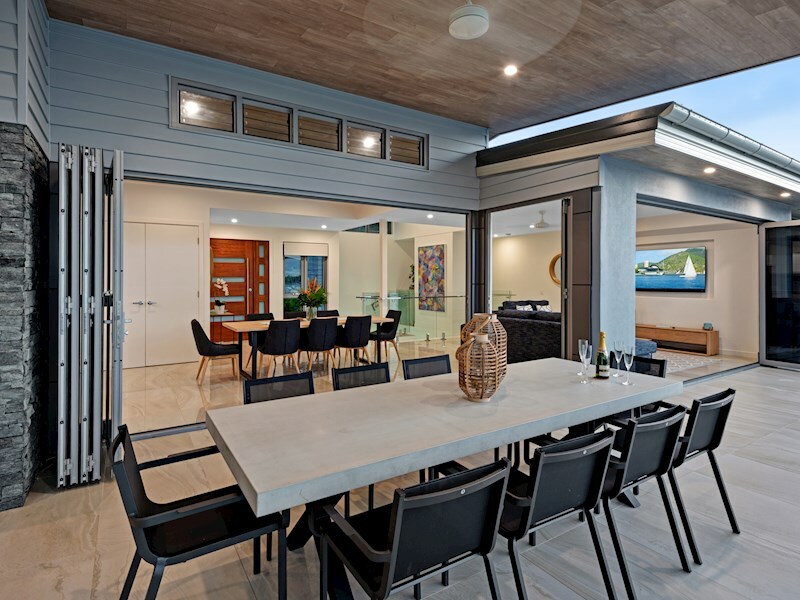 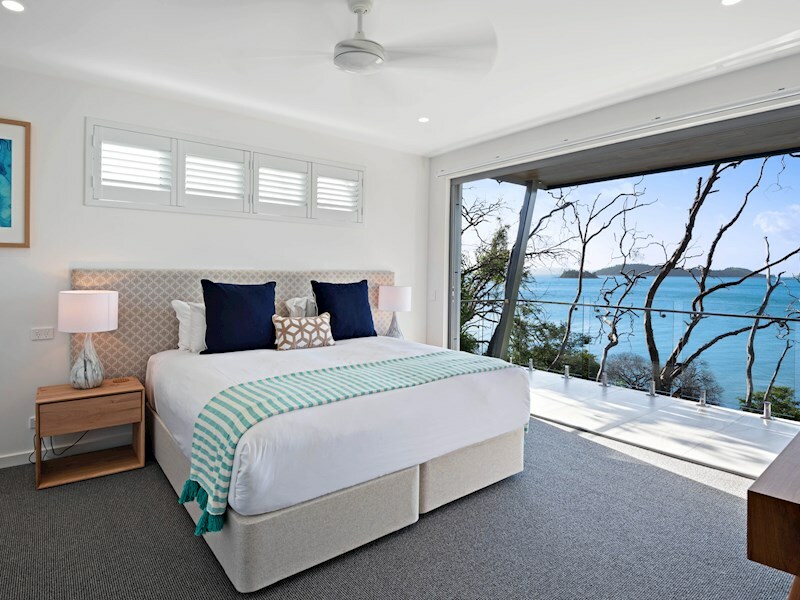 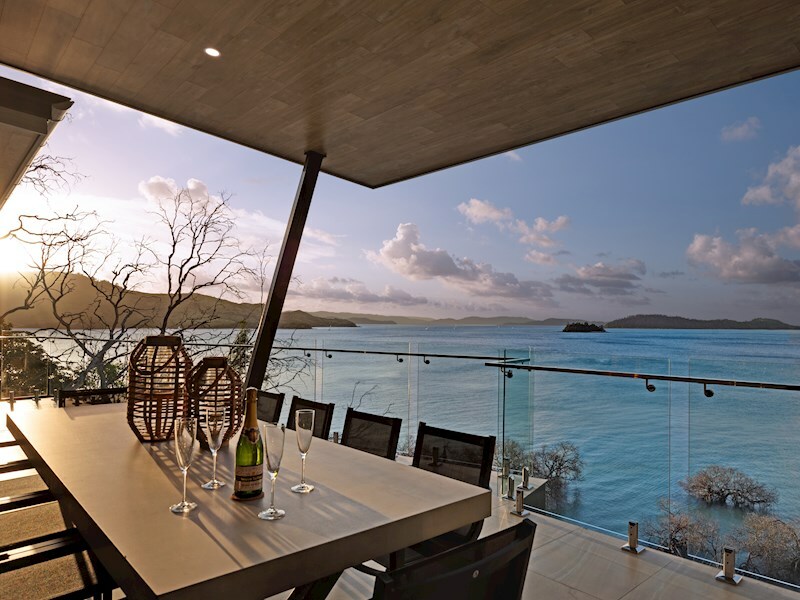 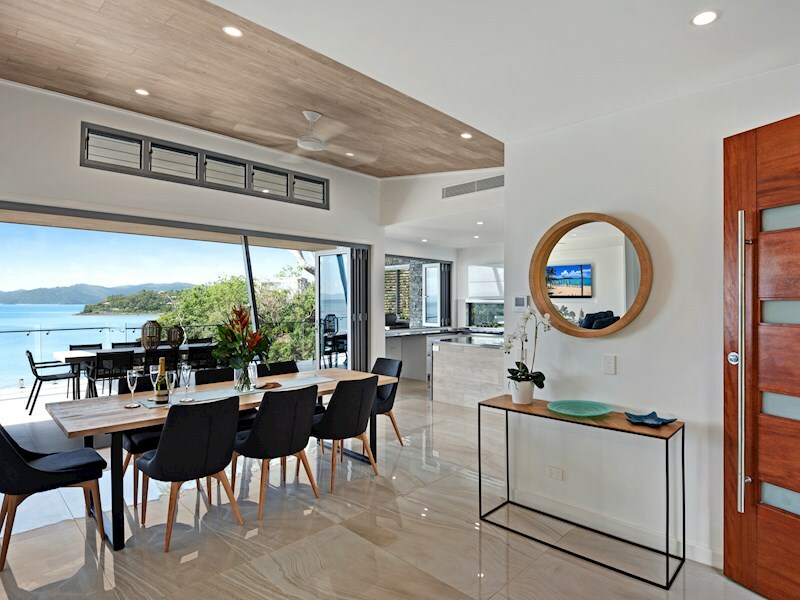 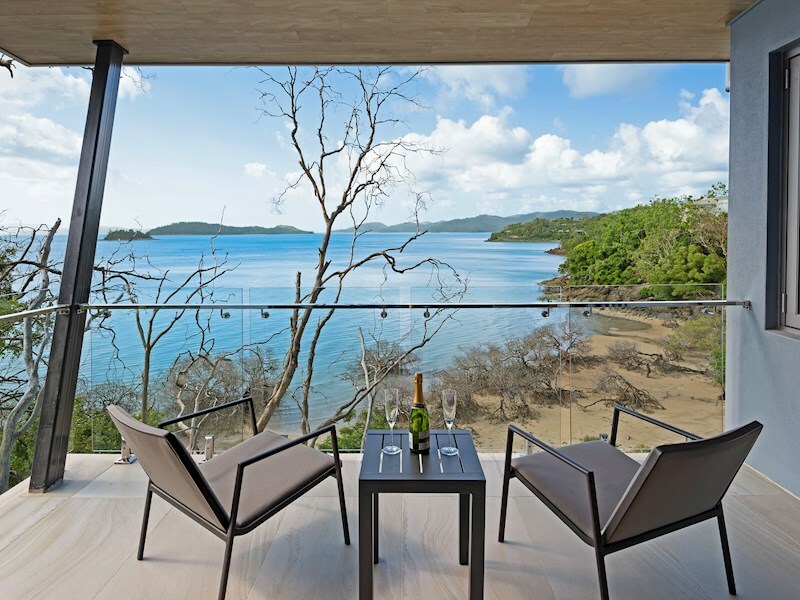 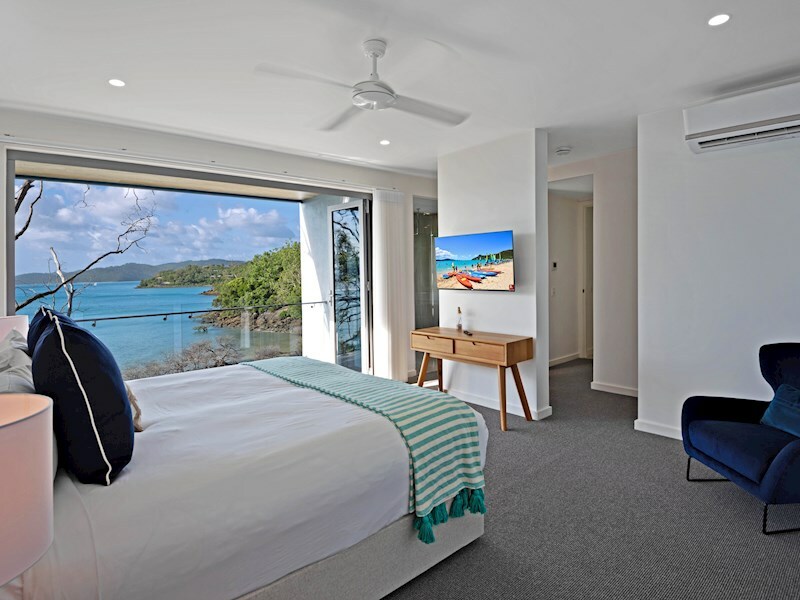 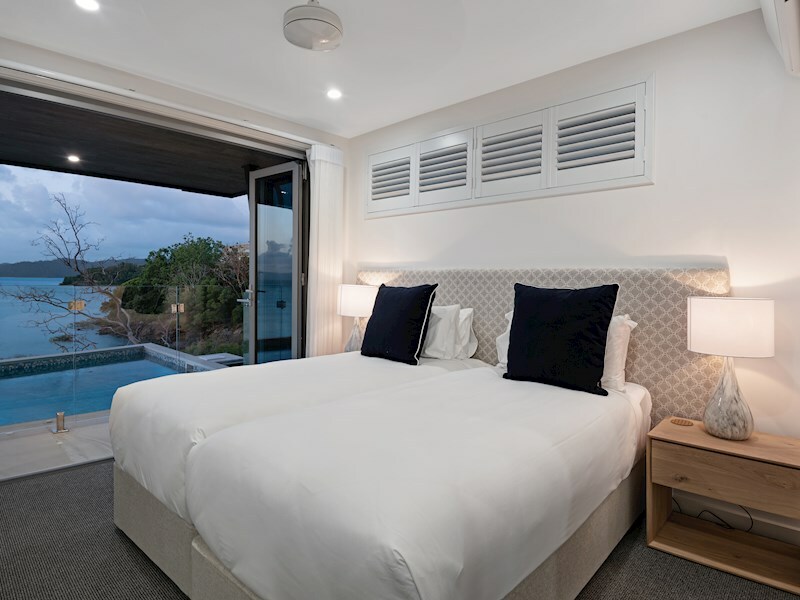 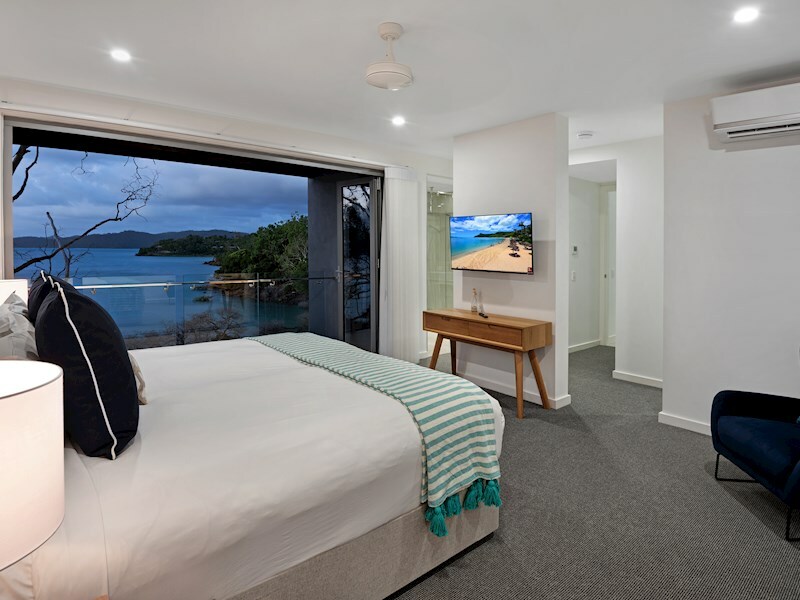 Situated on the tranquil, northwest edge of Hamilton Island, you're surrounded by impeccable natural beauty. 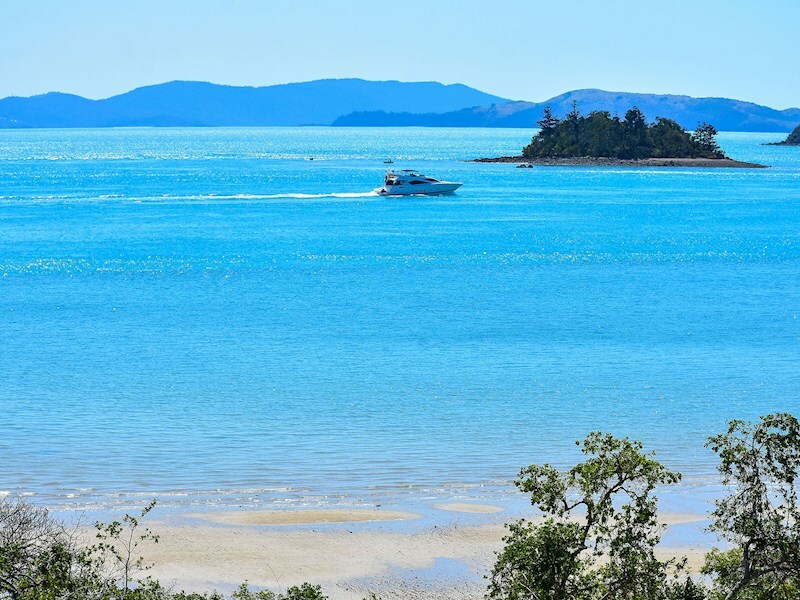 You're also just a short buggy ride to all of the island's other key attractions. 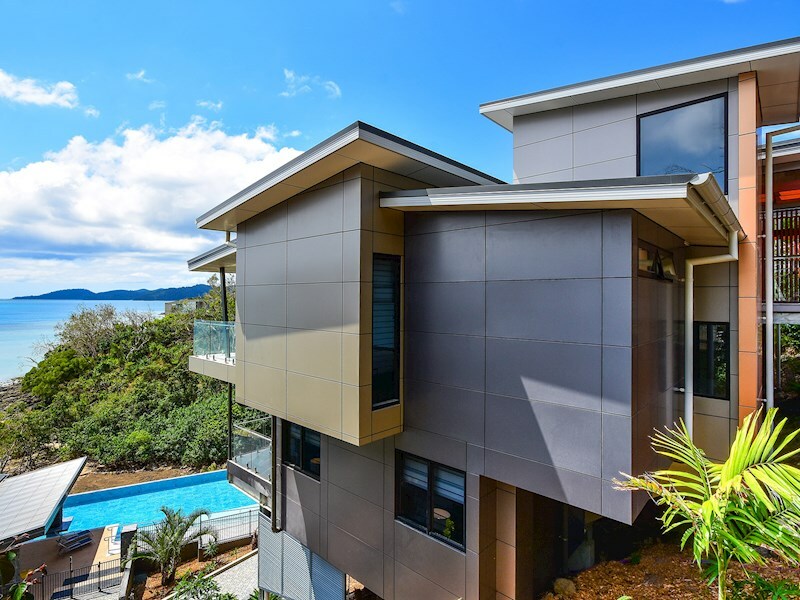 Set over two levels, and with four generous bedrooms and four bathrooms, this large and modern apartment is ideal for a big group of friends or family. 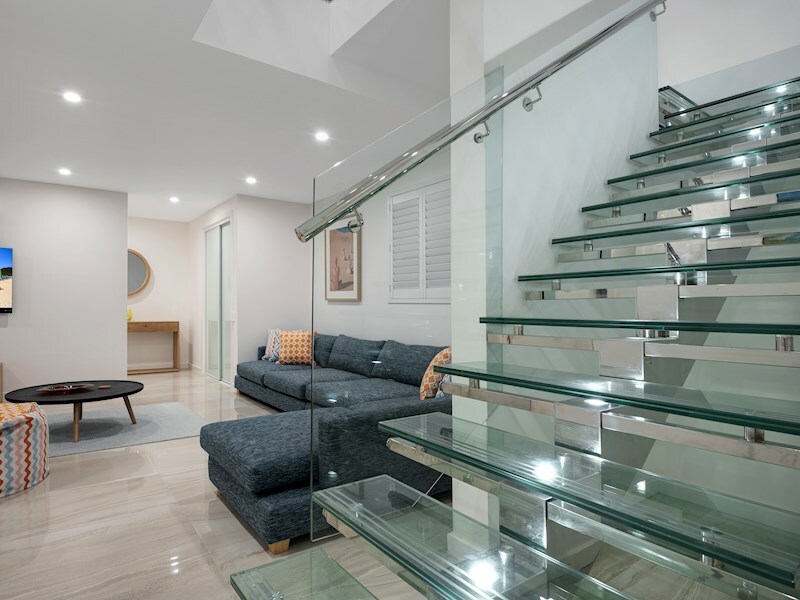 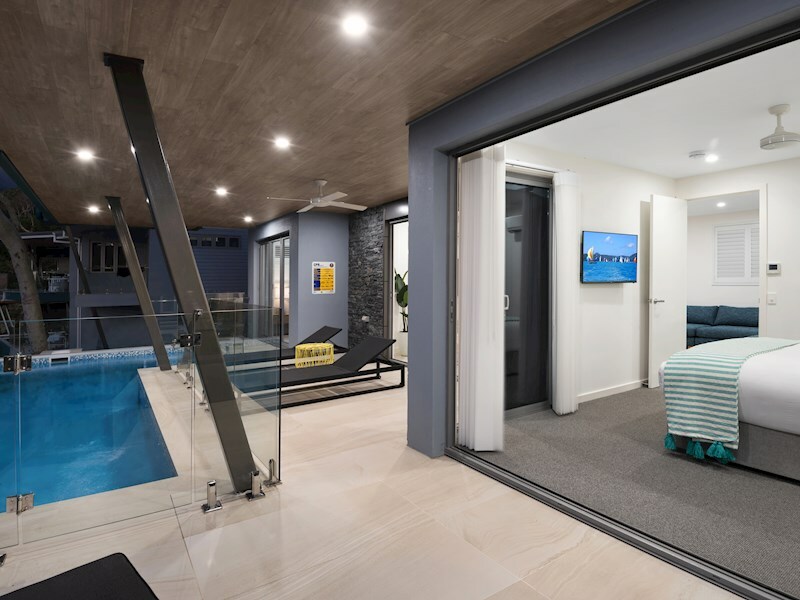 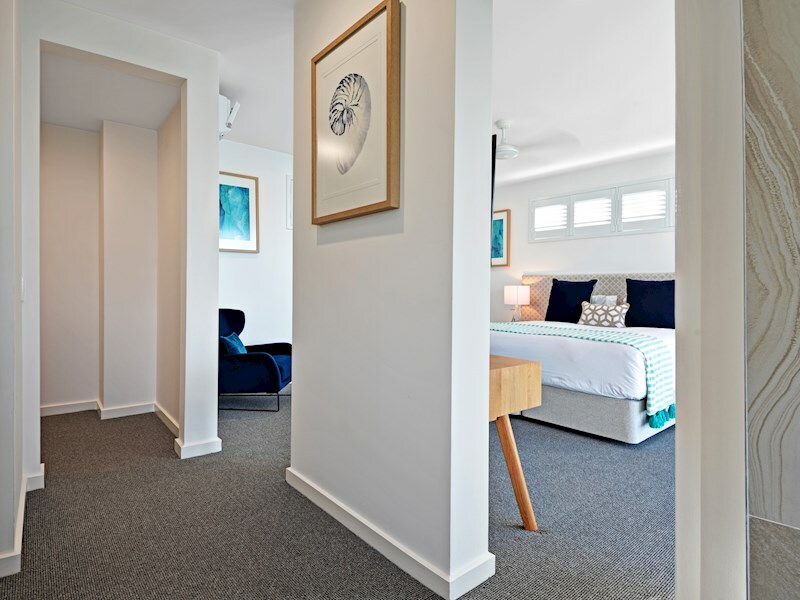 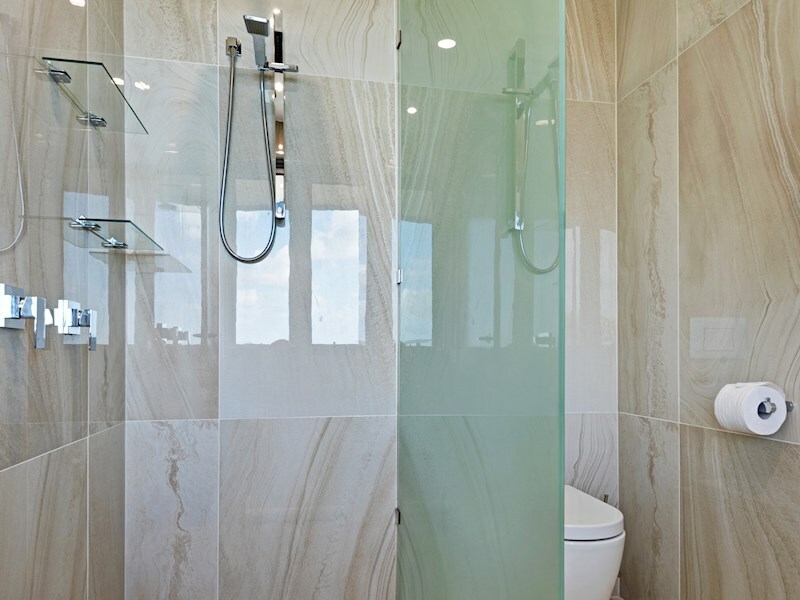 Only recently completed, this new apartment features bright, modern fittings and furnishings. 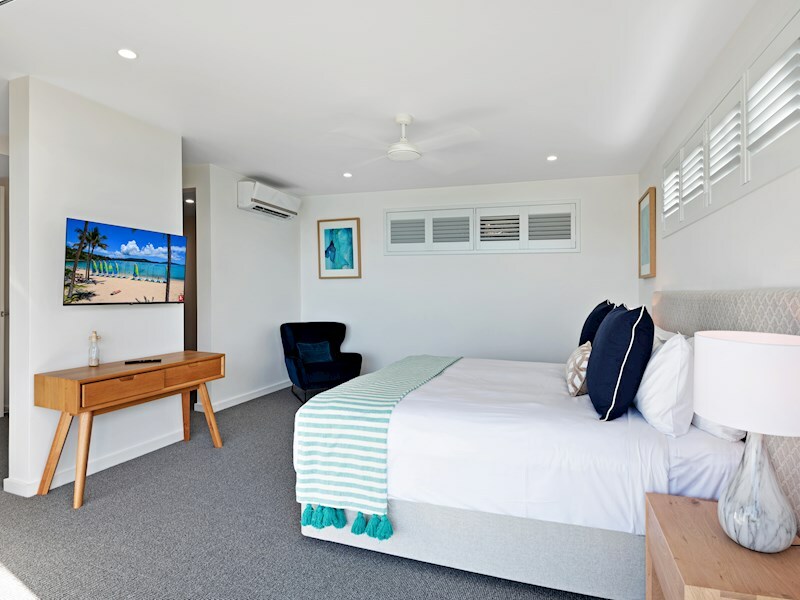 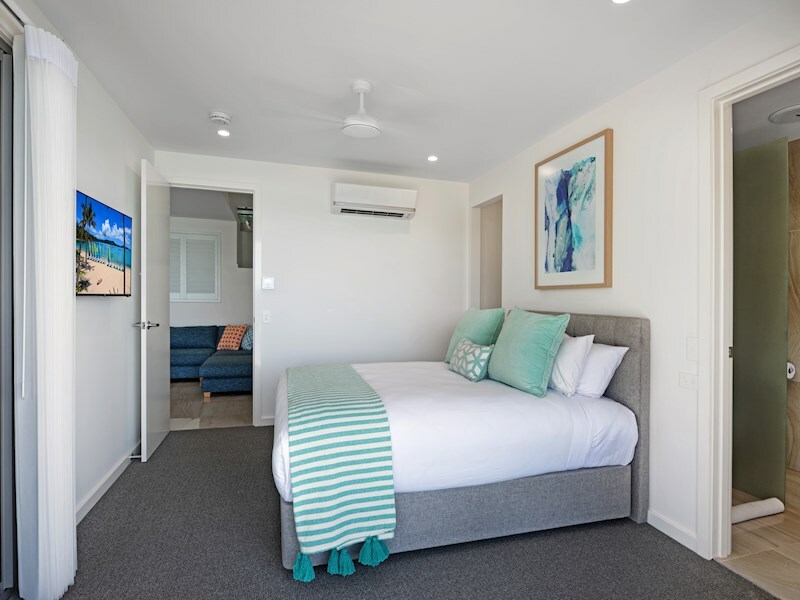 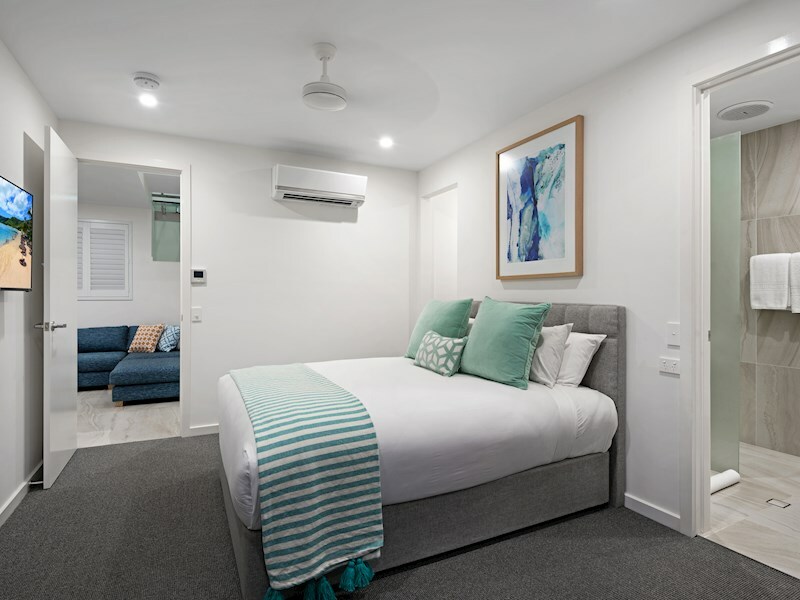 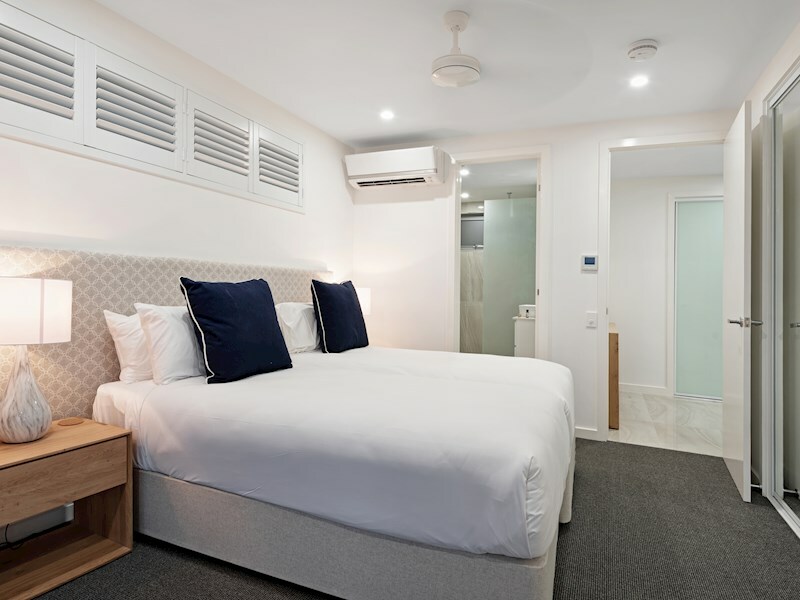 It also includes comforts like air-conditioning, ceiling fans, a bath tub, clothes dryer, full oven, washing machine and LED TVs. 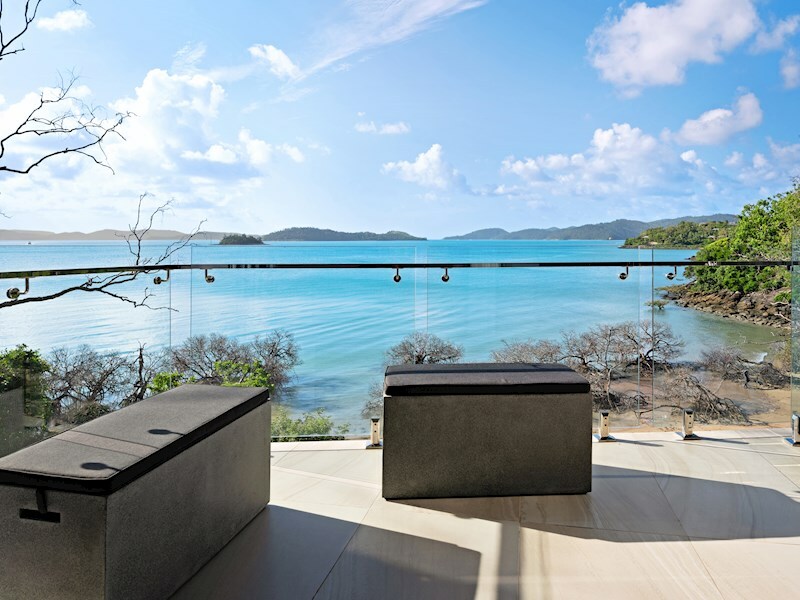 As well as a complimentary buggy, you also receive a Hamilton Island starter pack upon arrival. 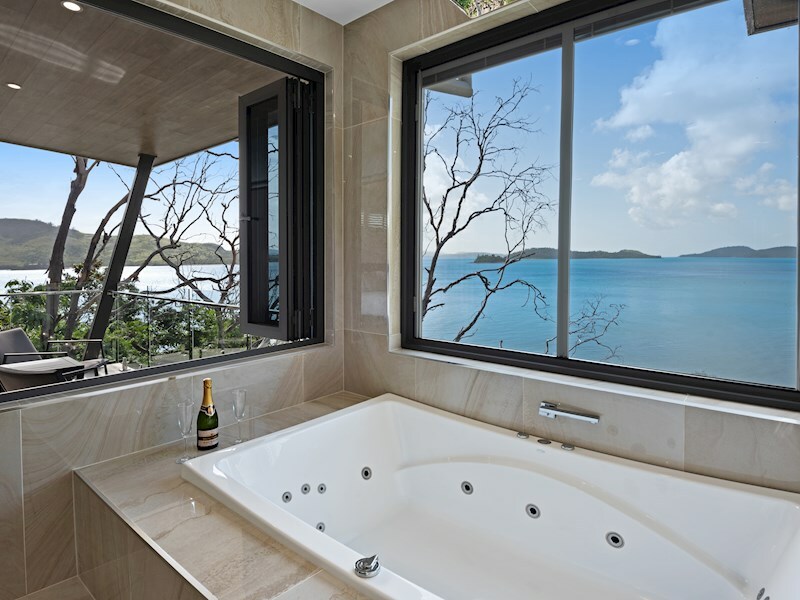 Enjoy a private plunge pool as well as a spectacular shared pool with water views, and even a private beach within the Hidden Cove complex. 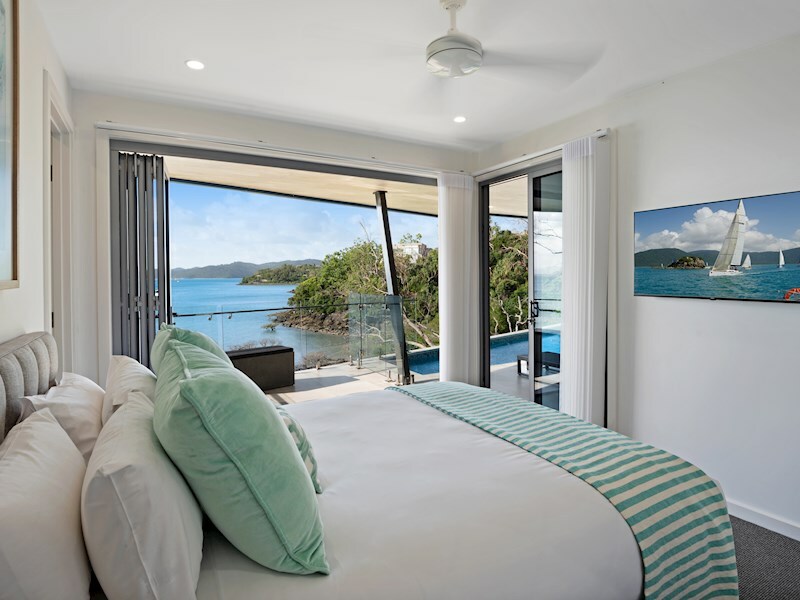 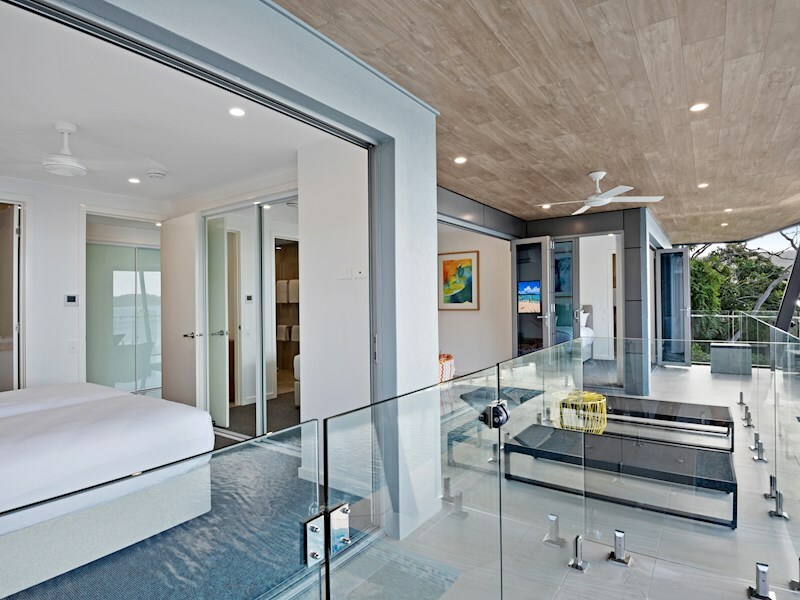 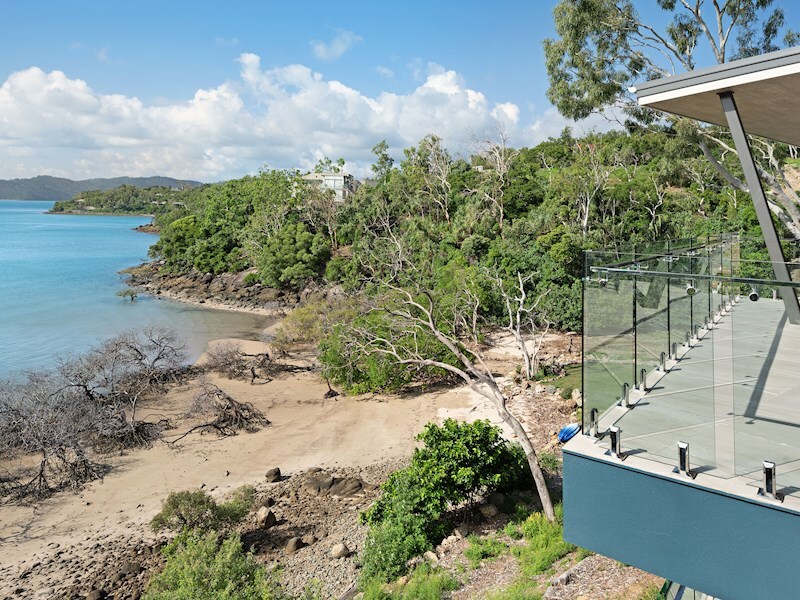 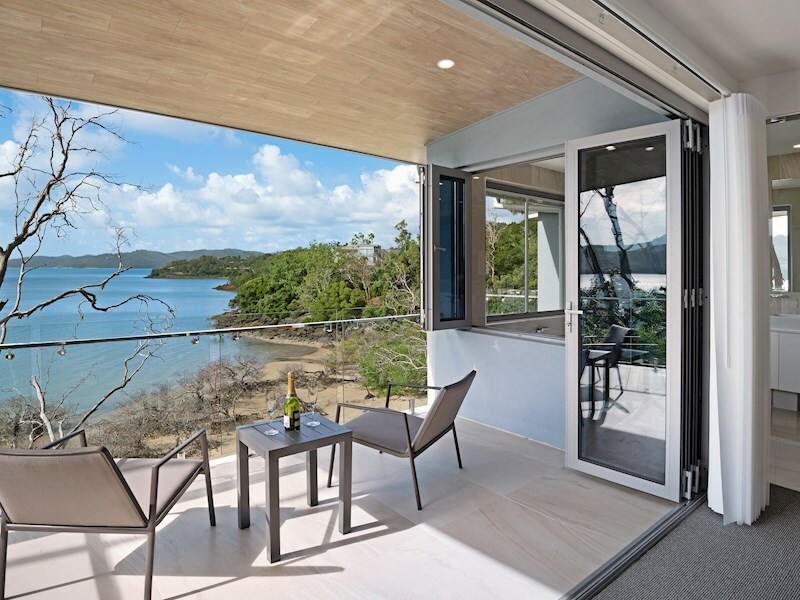 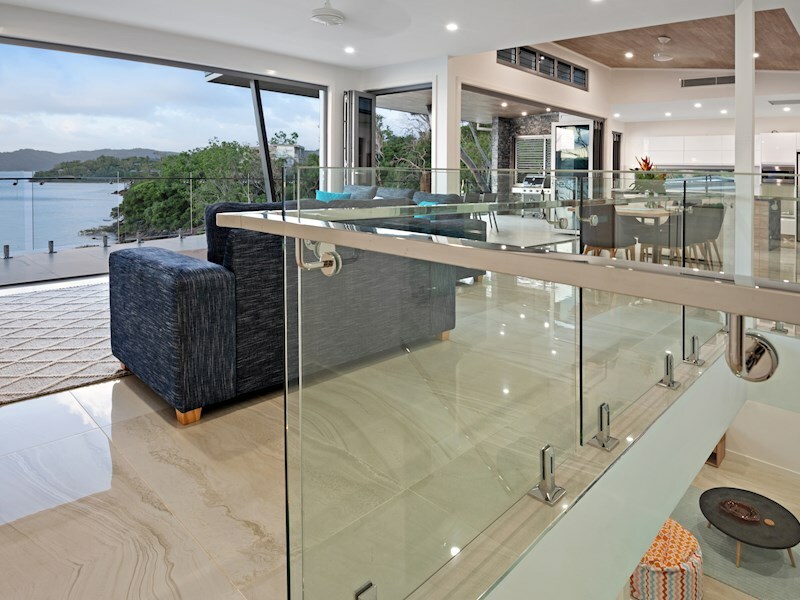 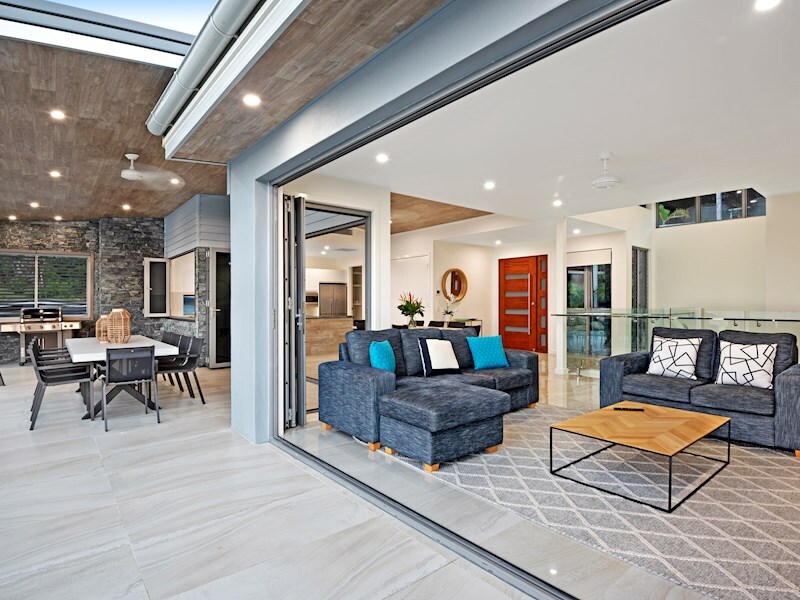 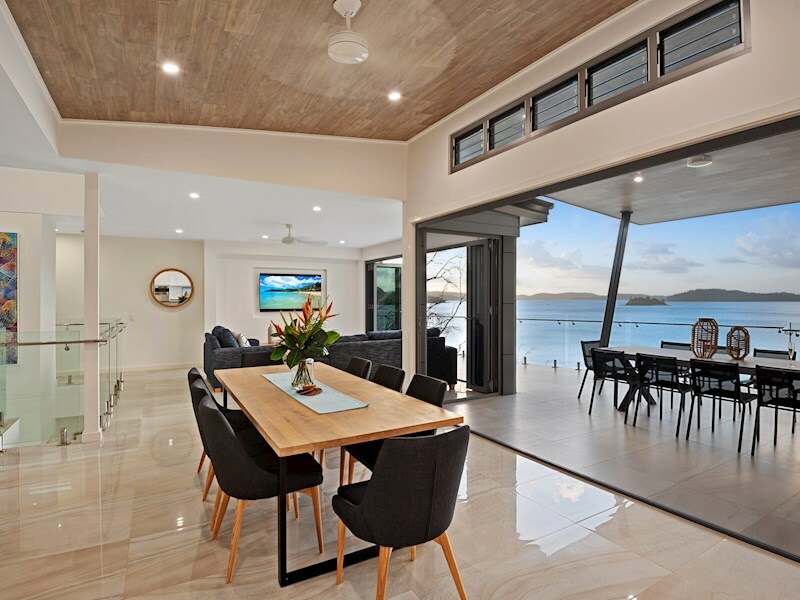 Make the most of Hamilton Island's beautiful weather, and the spectacular water views, by relaxing on your covered outdoor balcony. 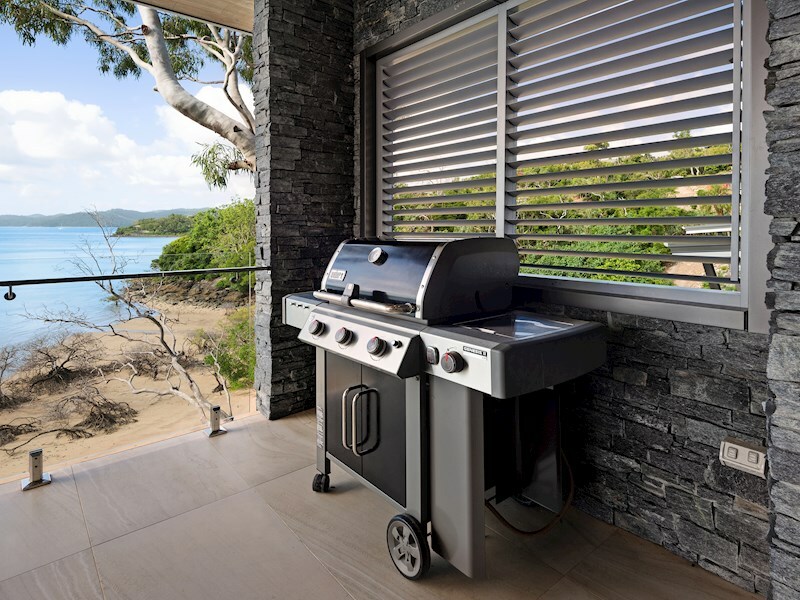 This includes a BBQ and a large outdoor table that can seat up to ten people.